Recently, the American Chamber of Commerce of the Chinese Republic carried out a study to analyse the business environment in China this 2016. 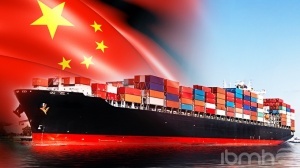 This study offers valuable information to companies regarding the regulatory environment and Chinese policy, as well as the challenges that companies like IBMH are facing, dedicated to offer daily commercial transactions that operate in China. – 2015 was a difficult year for growth; economic, regulatory and human resources are the main concerns for companies operating in China, which will improve the 2016. – Companies like IBMH will continue to invest in innovation and talent in China during the 2016, giving priority to quality. -While many of those surveyed are optimistic about the growth potential of the domestic market of China, nearly half of those surveyed expected that the growth of China’s total GDP in 2016 will be less than 6.25%. -The required licensing is one of the first five challenges for companies that sell in China. -This 2016, the amount of skilled workers will improve, since several signs of progress have been posted. – Member companies will prioritize innovation. More than nine out of ten respondents think that innovation in China will be important for the future growth of his company in China. Respondents also report that brands, technology and intellectual property, as well as development and innovation are among the five main competitive advantages of companies that are marketing in China.